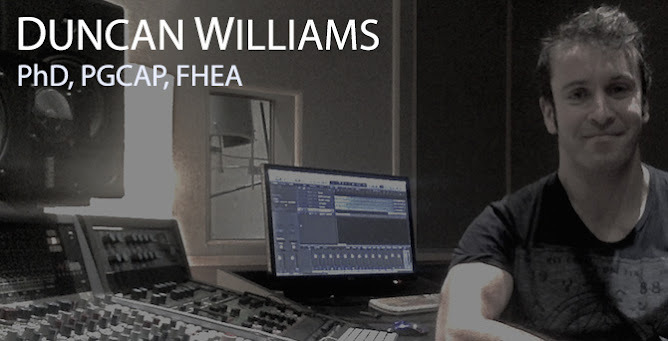 Duncan Williams: Music, sound, and psychoacoustics: Lots of updates! Sorry about the very long time since my last update here. So what have I been doing?! Firstly, I've been working with the research team at The Deep aquarium in Hull, we produced an interactive virtual reality game "Jellyfishin'" which made it's debut earlier this year at York's Festival of Ideas. It is due to make another outing in a couple of weeks at the York Mediale event in October. Sticking with The Deep, we held a live late night event using biosensors and sound as part of the British Science Festival last week - covered by several press outlets, including the BBC, here - as well as 1000 visitors (a sold out ticketed event). I then spent some very interesting research time working with LEVC and the new electric taxi, including a research report which picked up a lot of press coverage. This work involved evaluating the sound world of the new electric taxi from a physiological and psychological point of view and had some rather interesting results (no spoilers here!). Also on the biosensor front, I spent a very exciting week at Arup SoundLab working on a collaborative research project which has seen us disseminate our results across the Arup network via a London Lunchtime Lecture and will be the subject of some more formal writing very shortly. 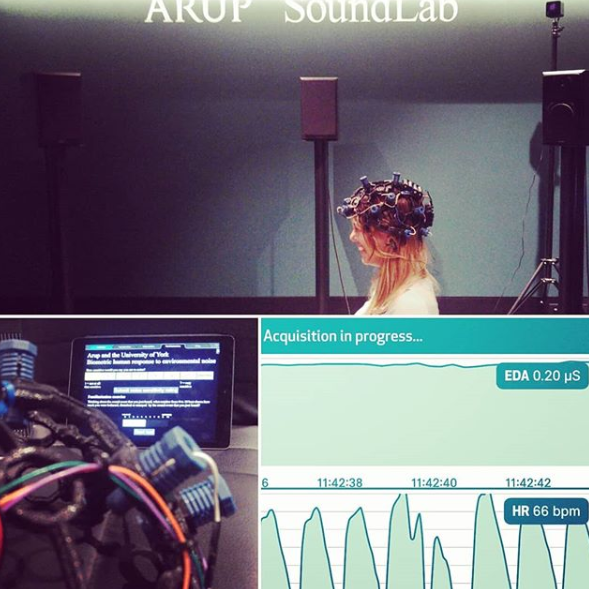 I also presented some work about using BCI for ensemble music performance at the 2018 Together in Music conference (details on the publications page). Regarding conferences, I am the papers co-chair for the forthcoming AES conference on immersive and interactive audio, which will be held in York in 2019. I also had the great pleasure of being an invited speaker at this years Workshop on Intelligent Music Production - in great company amongst academics and indstury; Bafta winning engineers, R&D from Abbey Road etc etc - at the fantastic facilities of Huddersfield University. The workshop was sold out but I'm told the talk was videoed and will be online shortly.